Pakistan Tehreek-e-Insaf has been announced to did huge protest against current Pakistani government on 30 november 2014. According to PTI media cell more than 1 million PTI workers will join this protest all over the country. The initial protest will be start from Lahore and will stay in capital of Pakistan Islamabad until the resignation of PM Nawaz Sharif. 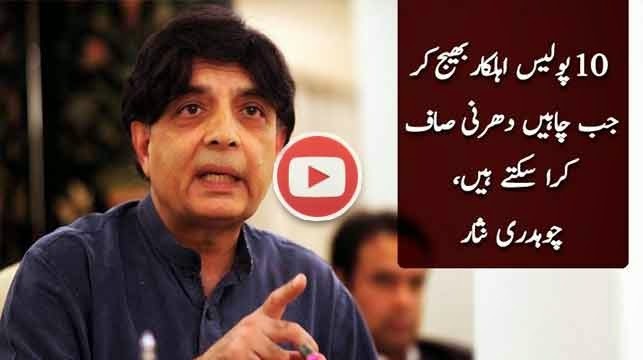 Interior federal minister of Pakistan Chaudhry Nisar issued clear warning in his press conference to PTI that government will not bear the blitz from PTI on 30 november, 2014 and will take serious action against senior PTI leadership.